For the last 12 years our sanctuary has gone twice through arsons. One of these cost the lives of two baby chimpanzees sleeing in their nests. Despite investigation, we still don’t know who commited these criminal acts but one thing however remains certain: once you deal with law enforcement, you not always get friends around you!!! This is the reason why security of our residents but also the security of our couragous team is a priority to J.A.C.K! 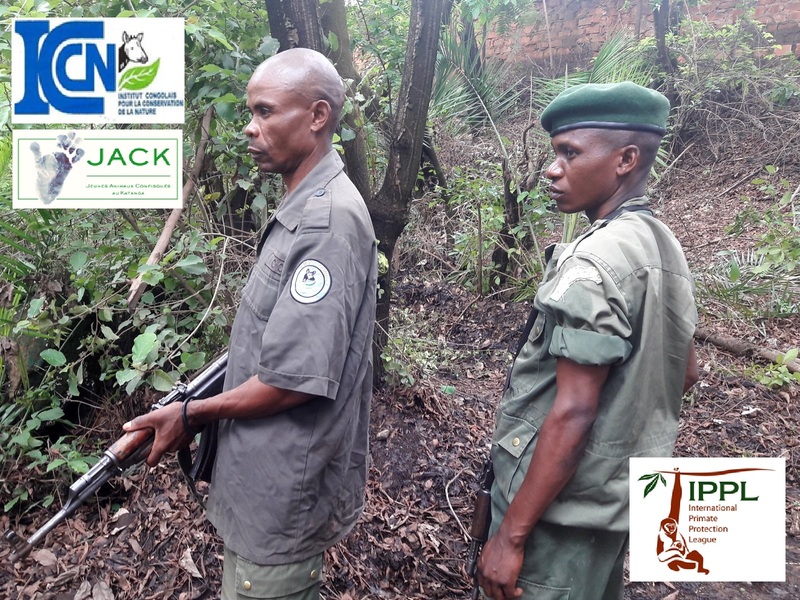 Two armed Rangers from ICCN (DRC Wildlife Authority) patrol day and night at the sanctuary. J.A.C.K. can assist them today (food, allowance, etc) ony thanks to the great support of IPPL (INTERNATIONAL PRIMATE PROTECTION LEAGUE) and its wonderful donors who accepted this year (2018) to sponsor security at J.A.C.K.! Their help is extremely welcome in the current periods of unrest. Two nights ago, three intruders entered J.A.C.K. and were chased by both Ranger Kindala and Ranger Mwewa! Great THANKS to IPPL team and donors but mainly to Dr Shirley Mc GREAL, an exceptionnal lady with a huge heart who has always believed in us and in our work! Her contribution has helped J.A.C.K. achieve amazing things for its furry residents!